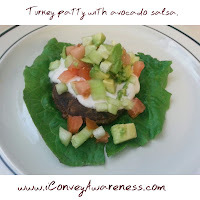 As a fellow lover of wholesome things especially in the realm of vegetables and sharing resources forward, I linked up with a like-minded gal who shares similar values. 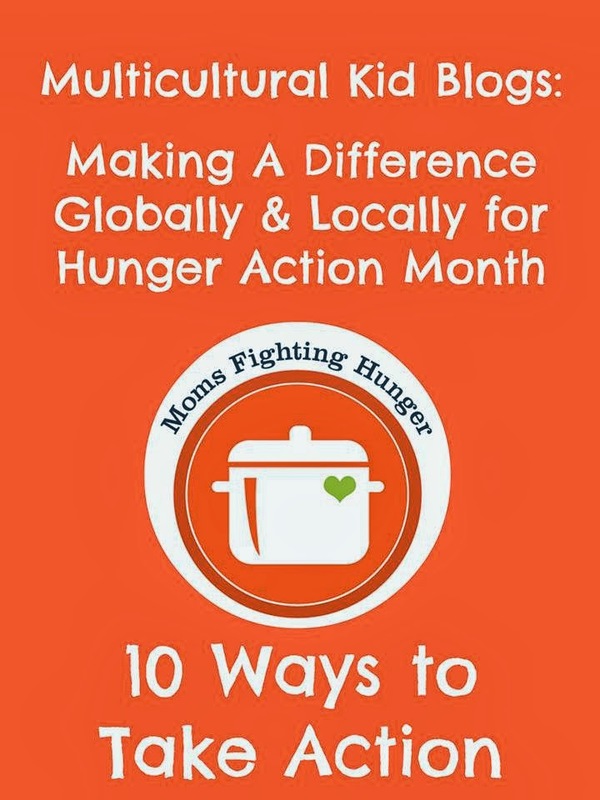 We teamed up at the end of the month of September to recap our resources for the Hunger Action Challenge where families are eating with less than $4.50 a day. I. My family joined a CSA. 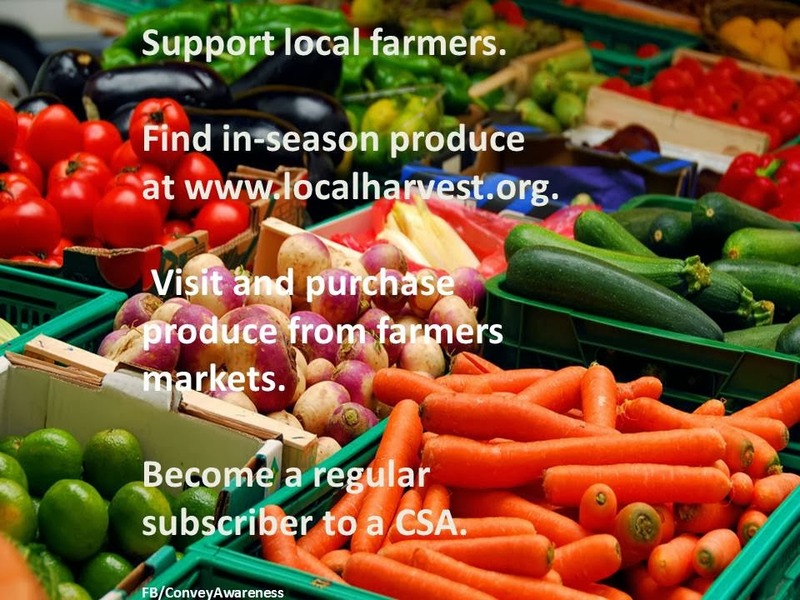 We support the 'local farmer' for roughly $1.70 a day with Abundant Harvest Organics. Every month, my family purchases two small boxes that include in-season organic produce. I know that the content of the boxes varies due to season, weather, and other factors. There is an option of purchasing a large box for about $3 a day (for twice a month pick up). The small box feeds 2-3 for 7-10 days and the large box 3-5 people for the same amount of time. Because I’m using in-season produce, I know that I’m getting the best nutritive value for my dollar. 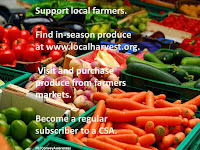 I also supplement what I get in my CSA box with what I can find at my local grocery stores. My personal goal is to eat at least 5 fruits and 5 vegetables daily. I have changed my health around due to the daily consumption of fruits and vegetables. I truly believe there is power and healing in eating a variety of produce daily. Prices on produce are lower on the foods grown during the season and depending on where you live, you may be able to find many fruits and vegetables for longer seasons than in other places. I used to live in a metropolitan area of Southern California where I had the opportunity to visit a farmers’ market every day of the week. When I moved to the desert, it was a bit of a culture shock because the closest farmers market is 90 miles away. So, I checked Local Harvest to learn that Abundant Harvest Organics delivers in-season organic produce to my town twice a week. What a relief!! Buy fruits and vegetables in-season when they're at their lowest price, eat them and / or freeze the other portions to be used in smoothies and desserts. II. Less animal protein, more plant based protein. The second way my family can eat under $4.50 a day is not consuming as much animal protein. We aim to eat animal protein two times a week. The other meals are mostly vegetables with a starch usually. 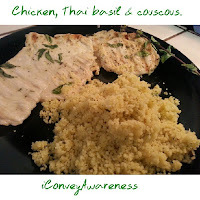 Rice is affordable and is a staple in our home. Other forms of protein can be found in foods like: grains, legumes, and guess what? --- Vegetables! III. Tower at-your-fingertips gardening. 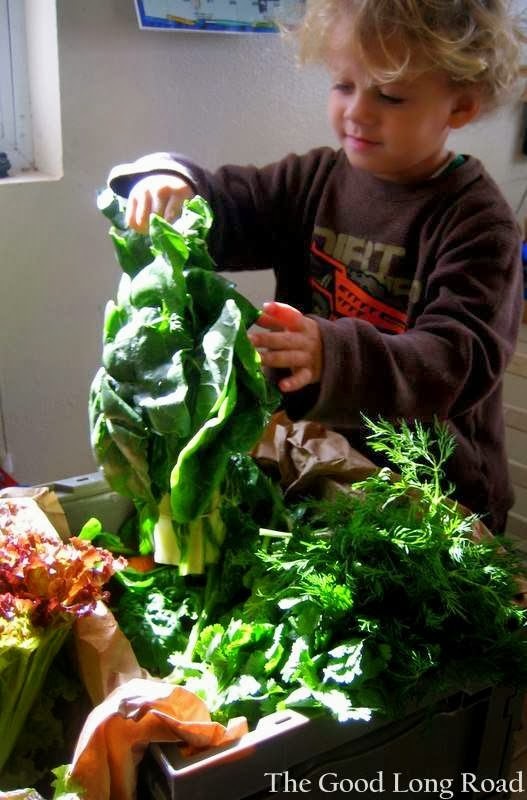 The third way we can eat under $4.50 a day is growing our own produce. I plan to start an aeroponic garden in the near future and until then, I will continue to support my local, small business and local farmer which is a sustainable way of eating. 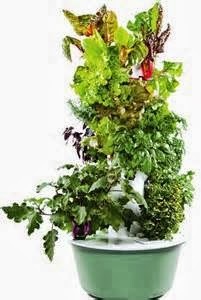 The initial cost of the aeroponic garden will be an out of pocket installment of $100 a month and each subsequent payment will be $50 a month but it is payable in 11 interest free installments and the garden container is mine for life. I believe it is a worthy investment. I’m a big advocate of families eating more fruits and vegetables and I want to empower you to eat at least 5 fruits and 5 vegetables daily. It may seem like a huge undertaking but guess what? The extra piece of the fruit or a vegetable daily will show some promise in your health regimen. The more you eat, the more you’ll crave. You may just find yourself salivating in the produce aisle of your local grocery store. I’m living proof. I was brought up on Little Debbie snack cakes and Kool-aid and I hardly ate any vegetables or fruit until after I had my son 5 years ago. Someone said to me, let me show you how to eat more fruits and vegetables. She did. My life changed. Can I help change yours? Jennifer is a mom of two, as well as an independent filmmaker who has taught filmmaking to youth and has run after-school programs through her company Think Ten Media Group. 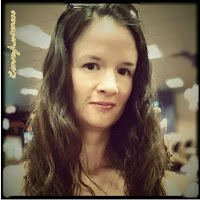 She writes about her experiences with Wild Thing and Caterpillar at The Good Long Road with an emphasis on mindfulness, imagination, and creative activities related to her toddler and preschooler’s favorite children’s books. You can also find her on Facebook, Twitter, Pinterest, and Google+. I. Having a 2 year-old that tries new foods without hesitation. Basically for my entire two year-olds life, we've been a member of a CSA and have received a produce box, more or less, every week. This was not the case with his older brother. I know this is probably not the exclusive reason that my youngest son is much more open to trying new foods and likes many more fruits and vegetables than his older brother, but I know it is a big part of it. For his entire life, these produce items have been part of his life. He has seen his parents eating a variety of fruits and vegetables and even trying new foods ourselves, so for him it being an adventurous, rather than picky, eater is normal. II. Saving Money - Initially, I thought I could not afford to buy organic produce for my family at either a farmer's market or through a CSA. However, once I committed to this, I realized that I actual save money for two primary reasons: the produce tastes better because it is fresh and organic meaning we eat more produce and need to buy less of other food items and, this it the big money saver, we eat at home more. Through exploring new fruits and vegetables throughout the season, I seek out new recipes and have improved my cooking skills. 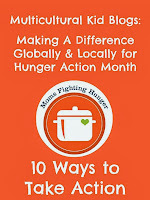 This means more meals at home -- saving money and calories and improving our health. In fact, no one in our family even wants take out/store bought or restaurant pizza anymore because the pizza we make at home is so much better. III. Liking Turnips! Who knew? I use turnips because they are probably the vegetable in our produce box that represents the value of seasonal produce the most. I always liked vegetables (in fact I was a vegetarian for 10 years), but often gravitated toward the same vegetables: spinach, tomatoes, potatoes, broccoli, etc. Through a focus on seasonal produce, I was forced to branch out and to discover that vegetables, I would have NEVER picked up at the store before, have become some of my favorites, like turnips and rutabagas. I've also learned how to make beet brownies, a huge hit at our house. My one vegetable hold out is eggplant -- still don't like it. Please send me a recipe that will change my mind! IV. Getting to Know My Neighbors - My produce box has led to connections and conversations with my neighbors, one of whom actually brings my box to me each week. She realized that I have two small children and share a car with my husband. Since she has a produce box to pick up herself, she gets mine. We also split a box once a month and get our eggs from her free-range, organic eating chickens, which my sons also love to help feed. I also will share some of my produce with other neighbors from time to time on a week when we seem to have more than we need or when I know a particular neighbor is in need. My produce box builds community. I know other friends who have had the same experience through their farmer's markets -- getting to know farmers, offering to get produce times for neighbors/friends, meeting up with the same fellow farmer's market patrons each week. V. Herbed Playdough! - Sometimes, no matter how hard I try, I still can't use up my herbs. We have lavender in our yard, so I decided to create Lavender Playdough once. Since then, we've experimented with different herbed playdough variations. The boys love adding a fragrant and textural element to their playdough play. Here's our Lavender Playdough. Download my free eGuide when you subscribe to my monthly newsletters for free. Inside is tried and proven ways to consume more fruits and vegetables daily. I'm leading a Clean Transformation Challenge (#ctransc) that began on 9/1/13. Each session runs for 6 weeks. I'll be chronicling my experience while on the #ctransc. As a certified L.E.A.N. health coach, I recommend whole foods over synthetic supplementation. Day 1: I scrambled some eggs this morning with tumeric. These are one of the spices Dr. Bill Sears says to consume regularly as it helps with reducing inflammation in the body. Drank a coconut milk and Chocolate complete drink this afternoon. I am not using much imagination with my plant based shakes but that's where the goodness lies. A base like coconut milk is really all I need on those moments when it's a quick 'drink to sip.' I cooked chicken breasts and couscous for dinner and had lightly sauteed veggies on the side. Day 2: One hour at the gym. I included leg presses today. Worked up to 140 pounds. I felt strong! One mile: 13:50. I might not be making new times but I'm consistent! I drank a coconut milk and chocolate Complete drink before the gym. It helped me recover after missing a couple days at the gym. Of course, I stretched and added in some upper body weights. Made a yummy, fulfilling sammich at lunch today. 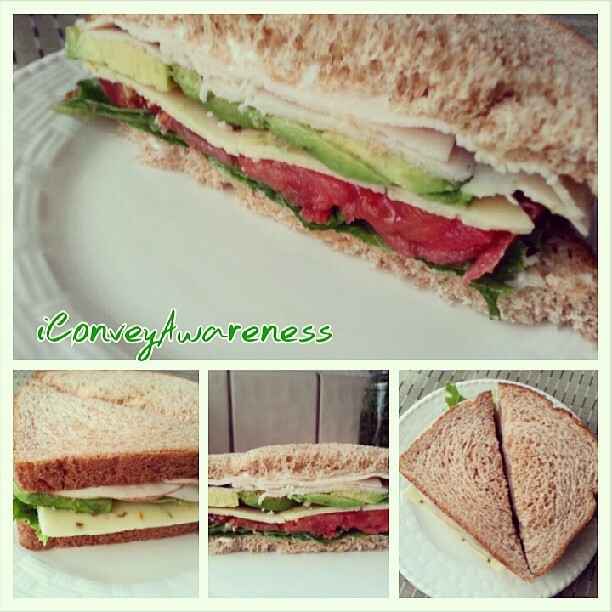 If you're going to have a sammich, eat a sammich packed with goodness! (Yes I call it a sammich.) 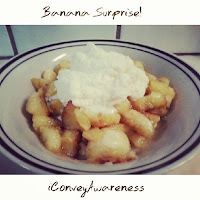 After dinner tonight, I made a 'banana surprise.' 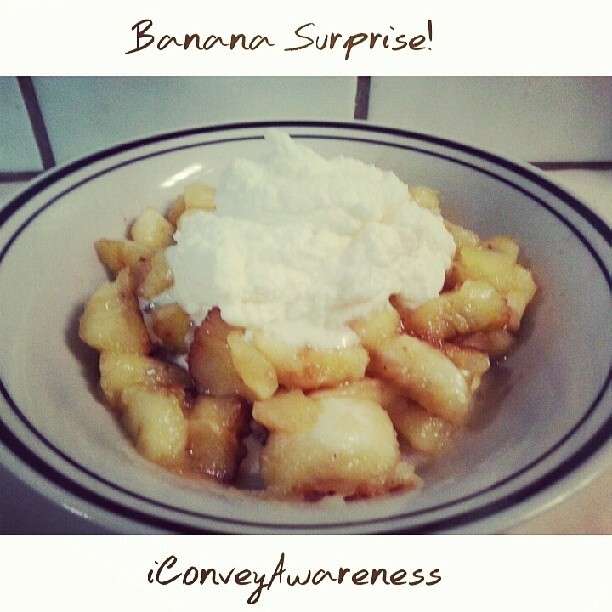 It was caramelized bananas in butter and coconut sugar with home-made whip cream that was sweetened with raw honey and real vanilla. My son and I devoured two large bananas. Day 3: Enjoyed a vanilla Complete with almond milk drink this morning after baking Blueberry Muffins from a box. No hydrogenated oils or HFCS. Sometimes I cook / bake from a box but I always find the healthiest option in the store I'm shopping. One mile: 14:10. Had a crazy pain behind my right knee but it's probably due to leg presses from yesterday. Baked cod for dinner with basil and tomatoes, sauteed zucchini and jasmine rice. Day 4: Mid-day I blended a green smoothie with kale, spinach, banana, strawberries, pineapple, and apples with raw honey, water, and vanilla Complete. One mile: 13:00. Ran at 5.8 and walked at 3.8. I moved up to 140 on the leg press today (up from 120 on Monday). Added some additional weights today. I'm feeling strong and my recovery is quick. 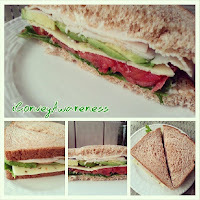 Made another turkey, avocado and cheese sammich for lunch today. It is filling and very satisfying. I met with one of my local LEAN clients this evening and I'm so proud of her accomplishments in just 3 weeks! I'll share more about what we're doing in another post. 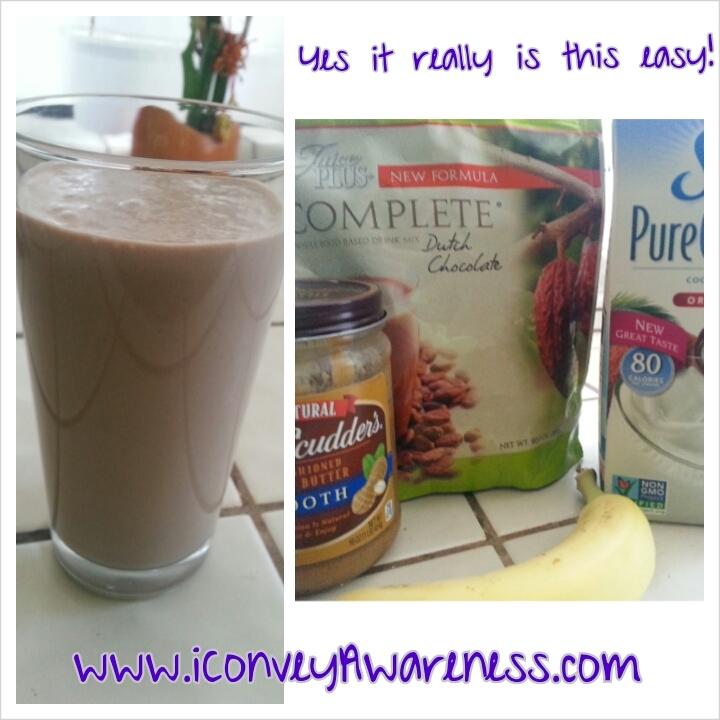 Day 5: I enjoyed a chocolate, peanut butter and banana smoothie this morning with coconut milk. One mile: 13:10. I maintained the 140 leg press but worked up to the weighted calf raise to 30 pounds (up from 20 lbs). I love the way I feel. My weight is the same and I'm not measuring my inches until this first 6 weeks is over. I'm sleeping well and it truly is rewarding eating cleaner. The sugar cravings were heightened before my cycle came on but I made good choices. This evening I'm presenting at the local diabetes chapter. We'll be talking about Prime Timers and Whole Food Nutrition. 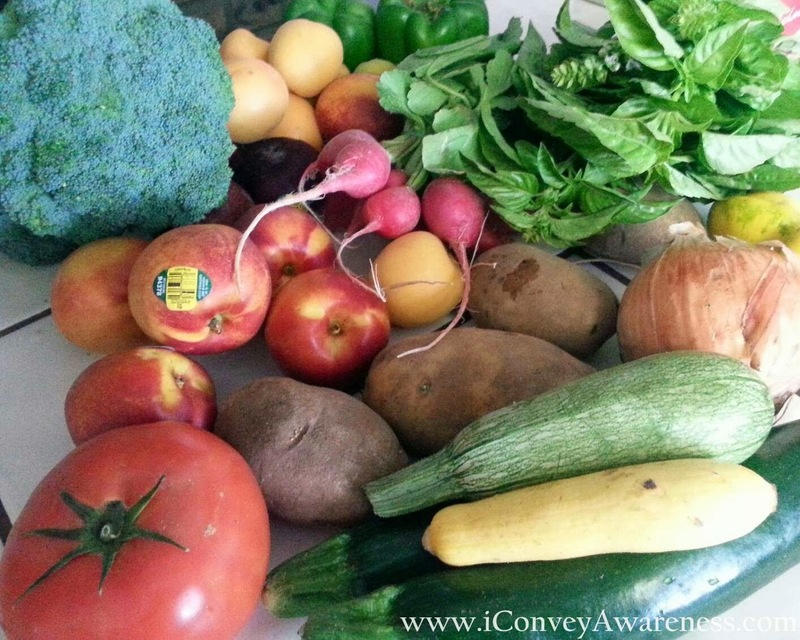 How to to eat more fruits and vegetables on fixed incomes. 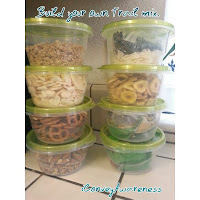 We'll be making our own trail mix and blending green smoothies. 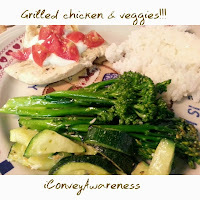 I grilled chicken and served it with zucchini and broccolini and leftover jasmine rice. Day 6: Five days in a row of working out at the gym. This morning's walk/run on the treadmill was nothing exceptional. I felt like walking more so I did. I walked at a 4.0 and completed one mile in 14:10. I added in additional weights for a full body workout: abs, arms, back, and legs. I drank a coconut milk, chocolate, and banana smoothie before my workout. I received a free massage today and was happy to get one after the last 3 weeks of increasing my workout regimen but even more so because I was in no pain. That's a first! I'm usually in pain when needing a massage. I attribute my recovery to my cleaner eating and plant based products. Day 7: Today was a cheat day for me. I don't take a cheat day every week but I do indulge every now and again. My portions are always a lot smaller than they used to be and I limit my red light foods throughout the week. I took my son to Old West Days and we had french fries and a deconstructed cheeseburger with all the toppings (I asked for no bread). We drank water and then had some vanilla ice cream. On the way home, we ate the oranges we packed with us. We walked about 5 miles. I definitely got in my exercise which was much needed after what I had consumed! Tomorrow I begin week 4 and I'm half way through my Clean Transformation Challenge. 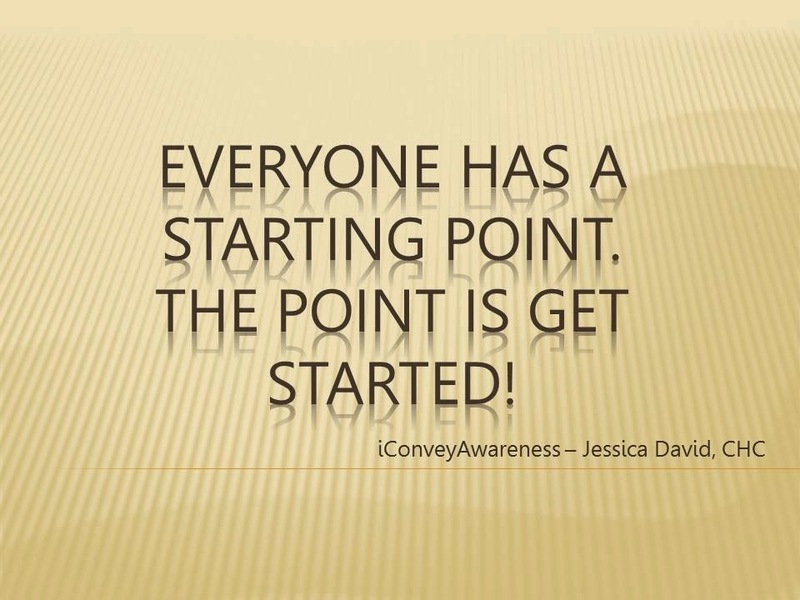 I encourage individuals to embrace the ideal, baby steps. A small positive change in your life can create momentum after awhile. "Change your mind, change your life." I'm finding that is the case with me even if my clients think I'm years ahead. Day 1: I enjoyed a coconut milk and chocolate Complete smoothie for my 5th meal. Rest day of exercising. The goal is to exercise 3-5x a week. I exercised 5 days in a row during week 1. Day 2: I enjoyed a breakfast smoothie using the chocolate Complete with coconut milk. Gym: 1 hour which included lots of stretching. Treadmill improvement: 13:15 mile. Ran at 5.5 and walked at 3.8. My interval - 1:2. For every one minute of running, I walked two. Never discount small beginnings. My lunch was a huge salad. To maximize recovery time with the intense workout this morning, I drank another whole food based smoothie before heading to bed. This time it was just almond milk and the chocolate Complete. Day 3: I drank a Complete shake post workout today. I'm really starting to look forward to my daily plant based shakes. I only had 30 minutes allotted for the gym this morning so I stretched for half of it and completed one mile in 13:05. My interval: 1:1 but the last 5 minutes it was 1:2. Walked at 3.8 and ran at 5.5. 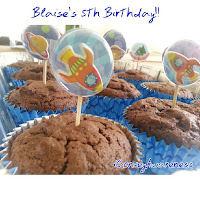 Today is my son's birthday and I made chocolate muffins for him. I did eat a few minis (made 2 dozen regular sized for his classroom; I made sure there were no nuts or cross contamination). Due to the plant based ingredients in the Complete, I trust between it and stretching between each muscle group worked, I am recovering as I should. Day 4: Woke up with sore lower legs. I know I pushed myself on the treadmill yesterday. I enjoyed an almond milk and chocolate Complete drink before my workout this morning. One mile: 13:30. I pushed through a leg cramp so my time wasn't better than yesterday but wasn't far worse. I tried a new item today that the local runners rave about. The chews were yuck! The waffle was yummy! This is the day that I chatted with the athletics director about offering nutrition counseling services to their clientele. I'm excited about the opportunities ahead! Day 5: After adequate stretching I managed to work out some of the leg cramps I had yesterday. I started my cycle today so I wasn't expecting to set new times today. One mile: 14 minutes. My interval: 1:2 (sometimes I ran at 5.6 but then walked at 3.5). Worked on some new weights since the gym was nearly empty. It was nice to not have to wait for equipment. I enjoyed a chocolate Complete drink when I returned home for muscle recovery. Made turkey, cheese, avocado, and turkey bacon roll-ups for lunch and a bowl of fresh fruit. Participated in a Quarter Auction in my town in which I did not eat the pizza or taco salads or other foods they offer. Their salad bar was broken so I am glad I packed healthy snacks for my son and I to enjoy together. Day 6: I did not make it to the gym. I'll make up for the lack of treadmill action this weekend when I'm taking my son to a few places where walking is a part of the action. I drank a chocolate and coconut milk shake for my mid-day snack. I enjoy drinking the shakes for helping me choose a healthier option when sometimes I rather not. Baked my 'feel good' granola chocolate chip cookies. They're made without refined sugar. 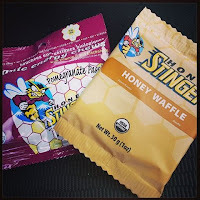 You can truly feel good about eating this treat as they're made with raw honey, cinnamon, and coconut oil. Day 7: Lots of walking today. Brought along a coconut milk and chocolate Complete drink for the adventures we had planned. It sustained me for about 3 hours. We also packed and snacked on cinnamon-honey apples and pluots along with fruit leather and the home-made 'feel good' cookies. I've maintained my goals. 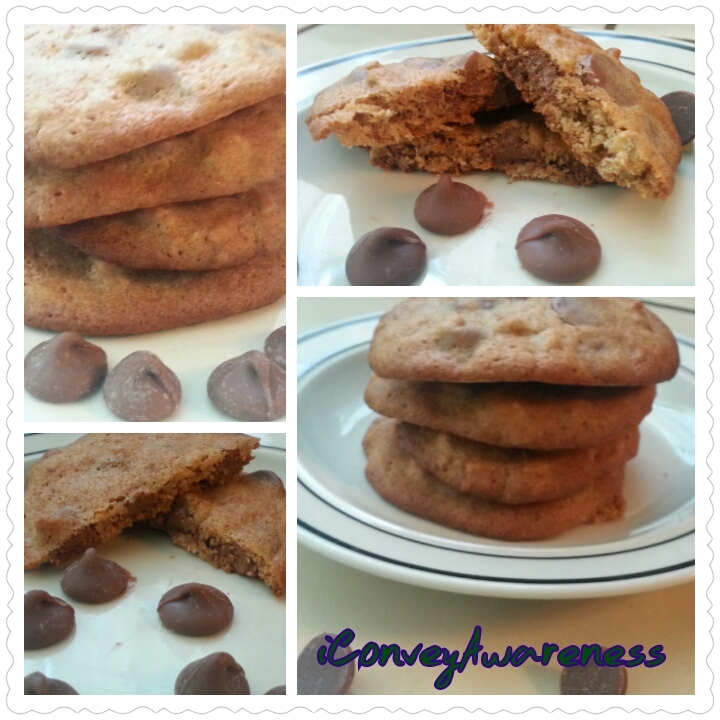 The sugar cravings increased at the end of week 2 due to my cycle but I made healthier choices by controlling the ingredients that I would consume through my 'feel good' cookies. Wellness is not an easy topic to talk about let alone embracing it but I encourage you to reach out to someone who'll lift you up and out of your situation if you're ready for change. The first step: Making an emotional connection to your health situation. No one can make you want it. You must want it for yourself. #OriginalSprout Awesome and reliable #worryfree product for babies on up! 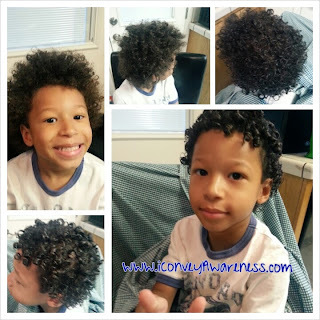 In June 2011, I published a blog post about my son's hair and how easy it is to manage with products by Original Sprout. My son has naturally curly hair and he turned 5 this month. We have yet to CUT his hair; I trim it (an inch or less) every 6 weeks. 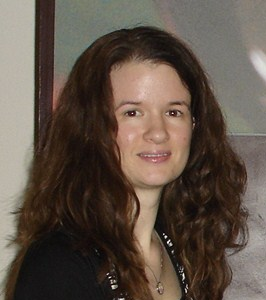 I began using Original Sprout products around June 2009. Original Sprout's products are truly worry-free. If you'd like to learn more about their standards and practices, visit their website page: Ingredients. I feel good about making my purchases direct to them or via trusted authorized sellers. Yes the products may cost more than what you'll find in typical stores but if you want to control ingredients that are put on your children's skin then this is a safe bet! WORRY FREE LUXURYOriginal Sprout uses fragrances & essential oils that are approved by California's Safe Cosmetics Program & the European Cosmetics Directive. By creating safe fragrances, smelling good is worry-free! Our fragrances are free of ingredients linked to estrogen & hormone disruption, autism and cancer concerns such as: Phthalates, Dioxanes 1, 4, Sulfates, Parabens, Formaldehyde, Propylene Glycol, Dipropylene Glycol, Acetaldehydes, Styrene, Toluene, Glycol Ethers, Ethylene Oxide, Musk, Lavender or Tea Tree Oils, Clove, Soy, Nonylphenol, Mineral or Petroleum Oils, Triclosan, Eurethane, 1-2 Propylene Oxide, Placenta, Synthetic Colors & Titanium Dioxide or Nanoparticles. Side note: I use the Hair & Body Wash and the Luscious Island Conditioner on occasion in between my no-pooing. This is his hair after he's woken up. It is a big mess! 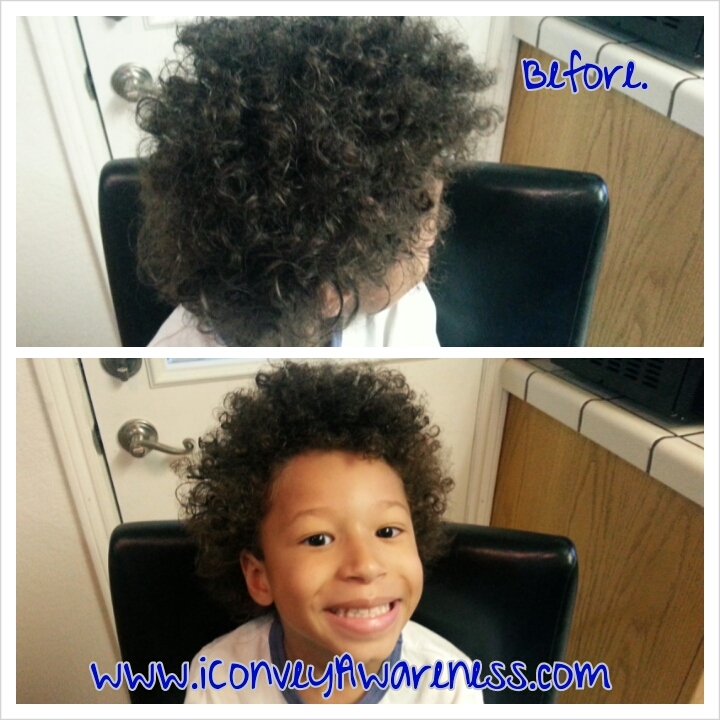 This is his hair after we've applied the Miracle Detangler and Leave-in Conditioner. Oh and BTW, the products smell scrumptious!! How did I go from the Before to the After? Top left corner: Bed head in full effect! Second to the right: Back of his head. Woo child! Top right corner: Sprayed water and Miracle Detangler. Combed effortlessly. 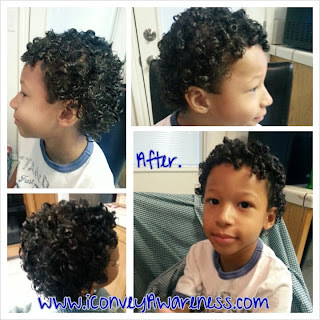 Bottom left corner: Applied Leave-in Conditioner and curled sections of his hair into tight curls. Bottom right corner: Two thumbs up. Time: 5 minutes or less. Disclosure: I am not being paid for my review of Original Sprouts nor did I receive any free products for my review. 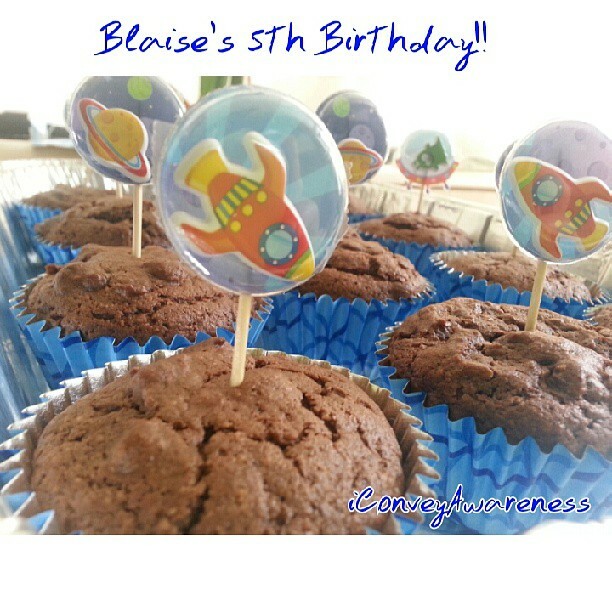 I'm simply sharing a resource that my family has enjoyed for 4 years! 5) Lose 2 inches around my waist. I will enjoy running by the end of 6 weeks. Day 1: I enjoyed a whole food drink mix for my 5th meal using coconut milk and chocolate Complete. 30 minutes of cardio: walking, jumping jacks, lunges, and squats. 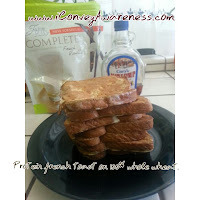 Day 2: I made vanilla Complete french toast. I always eat it with real maple syrup and I sliced a banana over the top. 30 minutes of cardio: walking, jumping jacks, lunges, and squats. This was Labor Day. I didn't indulge in anything too sweet. 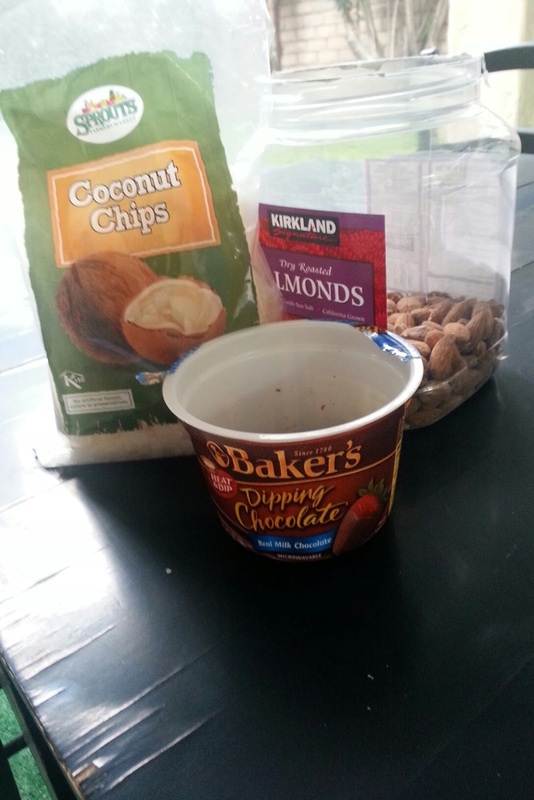 I made a 'healthier' almond joy while my family ate chocolate chip cookies. 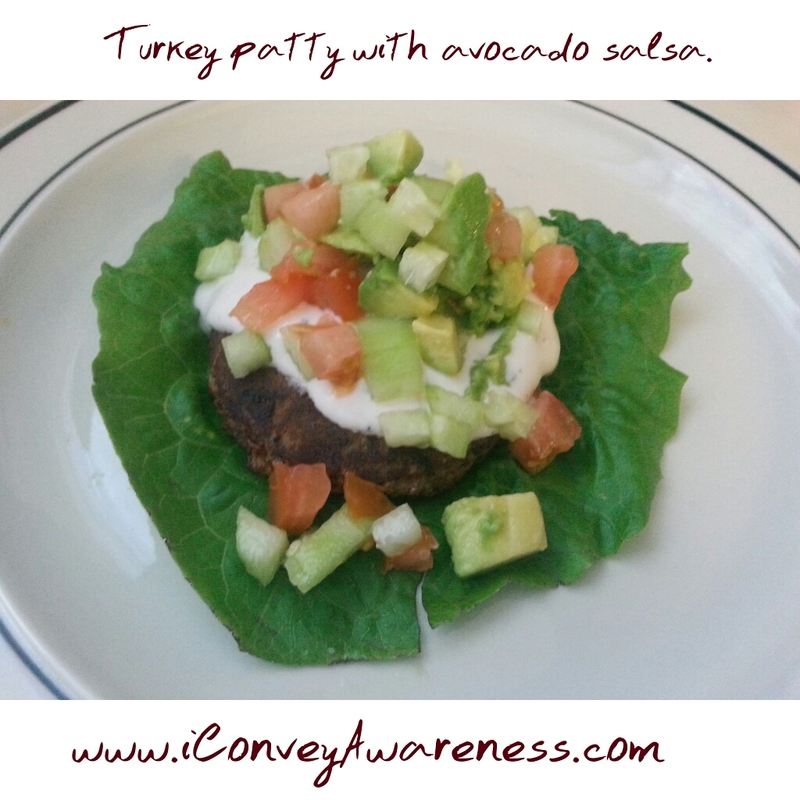 I also made a turkey burger on a bed of romaine with 'dressing' and avocado salsa. My dressing consisted of plain Chobani greek yogurt with 2 tbs of Organicville's olive oil & balsamic vinaigrette. The salsa: diced avocado, cucumber, and tomato. Day 3: My mid-afternoon snack was a smoothie: 1 cup kale, 1/2 cup red grapes, 1/2 cup frozen peaches, and 8 oz of coconut milk. 1/2 scoop of vanilla Complete. 1 hour at the gym. My starting point: 16 minute mile. I ran for 1/4 of it at 4.8 speed and walked the rest at 3.8 at a 2.0 incline. Free weights, lunges, squats, and lots of stretching! Day 4: First, I woke up without any pain! I drank a whole food based shake using coconut milk and the chocolate Complete. 1 hour at the gym. I decreased my time and walked/ran a 15 minute mile. I ran at 4.8. Walked at 3.8. Did the above exercises and added in jumping jacks and calf raises. 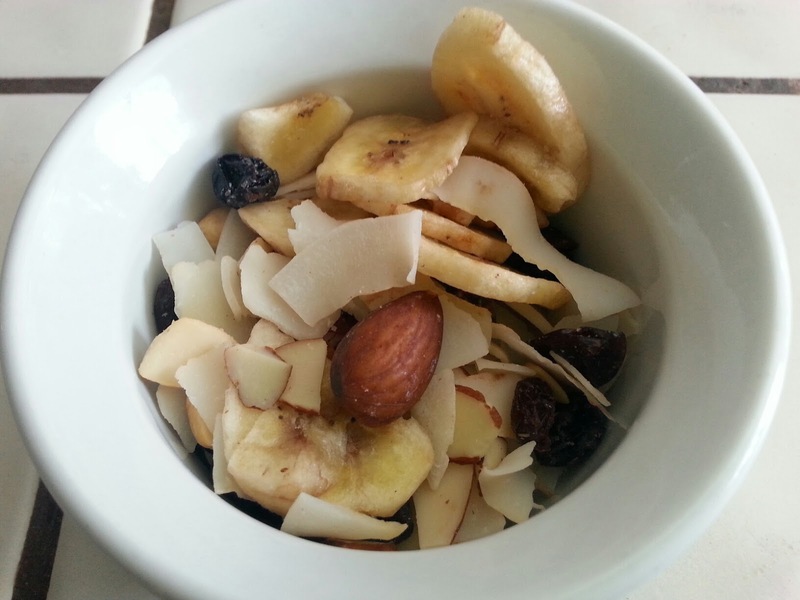 My post recovery snack was a half cup of DIY trail mix. Ingredients: coconut chips, banana chips, almonds, blueberries, cranberries, and raisins. Update: Less sugar (virtually non-existent) cravings and this is a BIG deal! Day 5: Again, woke up with no pain. I attribute it to lots of stretching (warm up, stretching in between exercising, and cool-down). My mid-afternoon snack was a smoothie: 8oz coconut milk, 2 tbs of peanut butter, 1/2 cup of Complete, and 1 banana. I decreased my time by only 10 seconds today. Ran/walked a 14:50 mile. Ran at 5.2 today but walked at a 0 incline at 3.6. 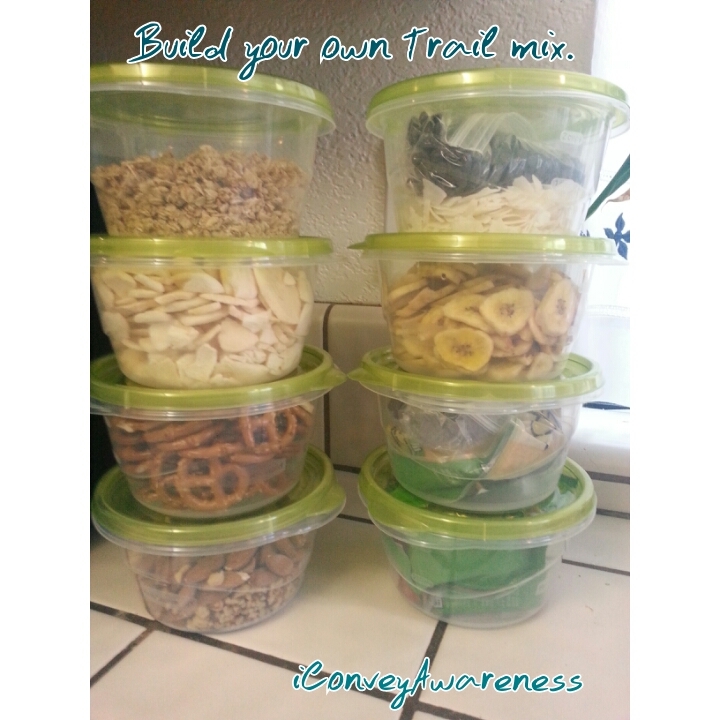 Post recovery snack: 1/2 cup of DIY trail mix (see image above). No pain still! Wait, no there is a minor dull pain in my right knee but it's not that much of a concern hence the reason I had forgotten about it. My breakfast was a chocolate peanut butter shake like I had yesterday. I think this recipe will be my go-to for a few days. Tomorrow is the end of week 1 and it'll be my cheat day as my husband and I are taking our son into the city to celebrate him turning 5 on Tuesday. I plan to drink a breakfast smoothie and I'll be doing a lot of walking but no gym time. The pain I had this morning with my knee went away after I worked out. I decreased my time by a whole minute today!! I ran at 5.4 and walked at 3.8. My time: 13:50 mile! More weights, lunges, calf raises, jumping jacks, squats, and lots and lots of stretching. Day 7: Felt great upon awakening. No gym today because it's my official cheat day. I did a lot of walking though. 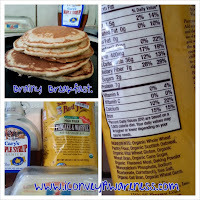 I enjoyed a mid-day breakfast smoothie and made organic whole grain pancakes for breakfast. I ate cheese pizza and a big salad for lunch and had a slice of home-made cake for the celebration of my son's upcoming 5th birthday. The Clean Transformation Challenge is not about 'weight loss' but it is one of the many byproducts of eating more whole foods daily, especially fruits and vegetables. I eat 5-6 small meals a day. I believe that this is better for digestion and metabolism. Plus it keeps the blood sugar level. I eat 80/20. I eat clean 80% of the time and the other 20, I may choose red light foods. See traffic light eating for more information. Try to make every meal 1/3 fruits and / or veggies. In the Clean Transformation Challenge, what do you expect to change? You'll be drinking half your body's weight in ounces of water daily. You'll be grazing (snacking on healthy nutrient dense foods) throughout the day. You'll be exercising 3-5x a week. Even walking counts but it should be deliberate and for at least 30 minutes daily. Various Results: You may see clearer complexion. You may be using the bathroom regularly (once to twice a day is healthy and normal). You may have boat loads of energy. You may lose inches. You may have a more positive outlook on life. I encourage you to eat at least 5 different fruits and 5 different vegetables daily! Download my free eGuide for more tips on how to do so! 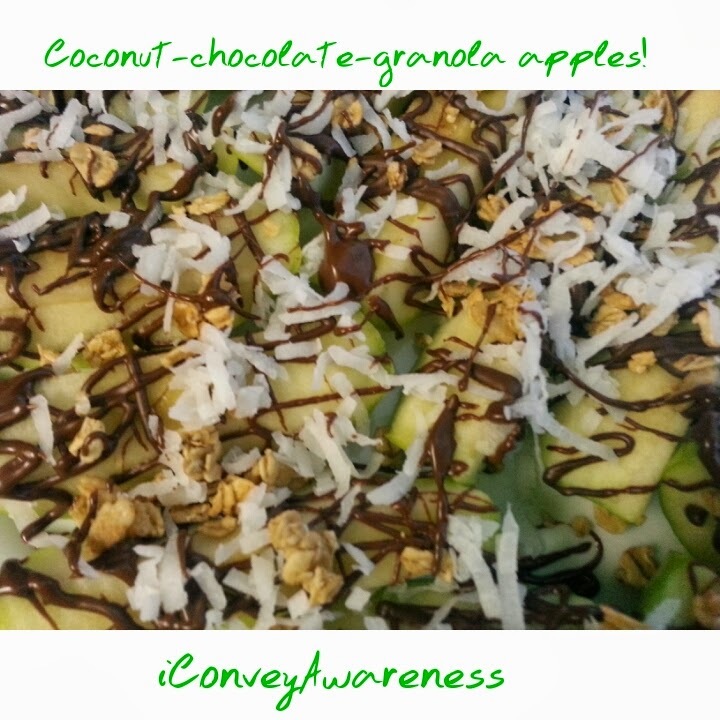 Have you ever wondered what Conveying Awareness is all about and why I share what I do? Learn more in my recent interview with Aliko Designs. 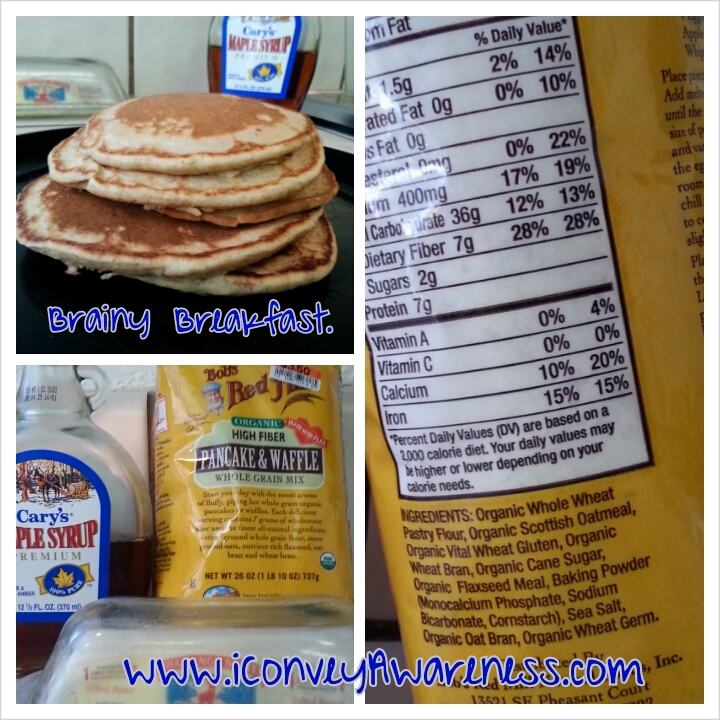 AD: What compelled you to want to start eating healthfully? 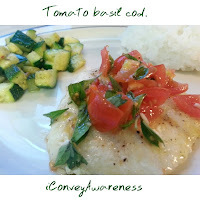 CA: Initially, I thought about my health in the third trimester of my pregnancy in late 2008. I developed high blood pressure and in hindsight, not one doctor told me to eat more fruits and vegetables. One week post-delivery, I was diagnosed with thrush which caused severe pain while nursing. It was at this time in my life that I desired to understand why and how to take better care of my health. DA: How did you get started with eating healthfully? CA: A friend loved me enough to share with me that eating more fruits and vegetables will naturally boost my immune system. When I started to incorporate just one or two more fruits and vegetables extra a day, the thrush went away within a week and my long-term GI issues eventually disappeared. Now I aim to consume 5 of each daily and encourage others to do the same. 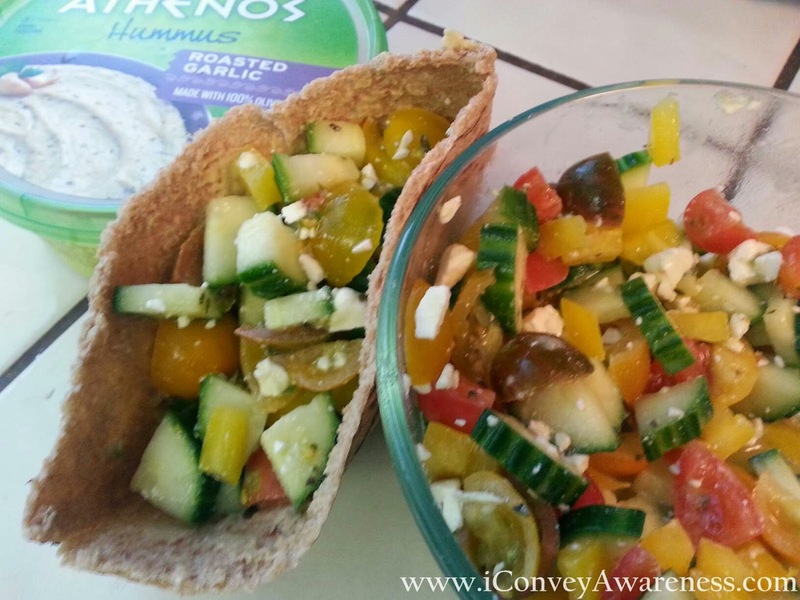 AD: What blocks/hurdles did you jump to enable healthful eating habits? CA: I moved to California 3 months before my son was born. I began to meet other new moms, many of them taking a holistic parenting approach, a few months after he was born. At this point forward, I felt connected and learned about natural ways to remain healthy. This was important at this stage in my life as I was planning to nurse past 12 months and I wanted to reverse the damage I had done to my body through years of improper eating. I desired a different environment to raise my son. 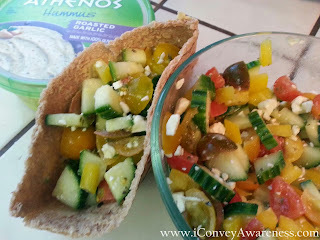 AD: What has impacted you the most in your journey towards sharing how to enjoy a healthy lifestyle with others? 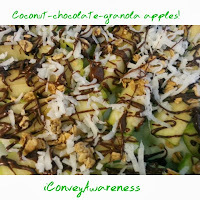 CA: It is a fascinating experience witnessing others bloom into their own awareness of healthy living. We may come from different backgrounds but we’re all headed to a similar place – a life of fulfillment and satisfaction that I believe is founded in nutritive choices. No matter the situation, almost everyone can benefit from eating more fruits and vegetables daily. More often than not, what do you see as common practices for the people that come to you asking for help to reduce their weight? As a Certified Health Coach, I teach the 4 pillars of L.E.A.N: Lifestyle, Exercise, Attitude, and Nutrition, as my clients are empowered through these elements they have a new found gumption to taking charge of their health. Taking a day at a time approach, they find that they are armed with the right (and many times, new and different) information and now have the fortitude to change. Plus they’re open to trying and eating more nutrient dense foods, much of this is found in the consumption of fruits and vegetables. AD: Once you've reached your goal, what keeps you motivated to keep going, to keep eating and exercising healthfully? CA: From a personal stand point, I am a wife and a mother. When I keep an open mind, I have the ability to take my family to new heights along our wellness journey. If I want a different outcome, I must change the way I think about health and wellness – see it; say it; do it; live it! We must create a desire within to learn more. 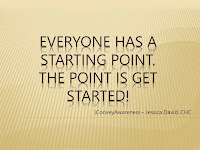 Remind yourself why you started on the journey to personal wellness. There will be some setbacks but there will be far more victories! I am going to keep learning more and I encourage you to do the same. Take baby steps if you must as you will still be moving forward. Don’t compare yourself to what others are doing. To remain encouraged, find a friend or health coach to link arms with you. You’ll find both in me. It is my passion to enrich the lives of families through the planting of seeds - tips to live a healthy and satisfying life. I advocate for families to eat more fruits and vegetables.